Karl Barth | J.W. Wartick -"Always Have a Reason"
Shao Kai Tseng’s Karl Barth’s Infralapsarian Theology is a thorough examination of Barth’s lapsarian position. There are two major positions in Reformed circles regarding how God ordered the divine decrees. Supralapsarianism teaches that God decreed election (who would be saved) and reprobation (who would be condemned) prior to the Fall, while infralapsarianism teaches that God first decrees the Fall, then election and reprobation (among other things). Not all Reformed thinkers hold to one of these two positions. For a fuller explanation, see here, or look more deeply at the book. Barth, historically, has been understood as a supralapsarian, and even at times explicitly claimed that position for himself. Tseng argues, however, that Barth’s position is truly infralapsarian. Tseng argues for his thesis through an examination of Barth’s developing thought. He begins with Barth’s earliest works and then traces his thought on problems of atonement, decree, and redemption throughout his life. Tseng interacts with numerous interpreters of Barth, utilizing them to support his theory or showing where they are mistaken. The two greatest difficulties with the book are linked. Tseng’s tone is relentlessly even, such that there are few breaks for readers to pause and consider the contents, and few examples of application of the texts are given. This means that there is little reason given to investigate the central topic of the book: Barth’s lapsarian position. Why, exactly, does Barth’s lapsarian position actually matter to us now? Other than scratching a curious itch, what application does it have? Surely, for historical reasons, it is good to know where Barth ought to line up, but beyond that Tseng doesn’t give much of a reason for seeing why this impacts broader theological studies. Of course, that doesn’t mean the book is without merit. Those deeply interested in Barth will want to engage with it and debate its contents. Moreover, because Tseng looks deeply at Barth’s developing thought, it provides some analysis of Barth’s overall theology. Karl Barth’s Infralapsarian Theology is dry and fairly esoteric. For those who are deeply interested in Barthian thought, however, this will be necessary reading, particularly if one wants to engage in Barth’s doctrine of election. If one wishes to delve deeply into Barthian thought and Reformed disputes over lapsarian positions, this is a good read, but its audience is limited to that group. Shao Kai Tseng, Karl Barth’s Infralapsarian Theology (Downers Grove, IL: InterVarsity, 2016). Paul Molnar’s Faith, Freedom and the Spirit is an extremely ambitious project. 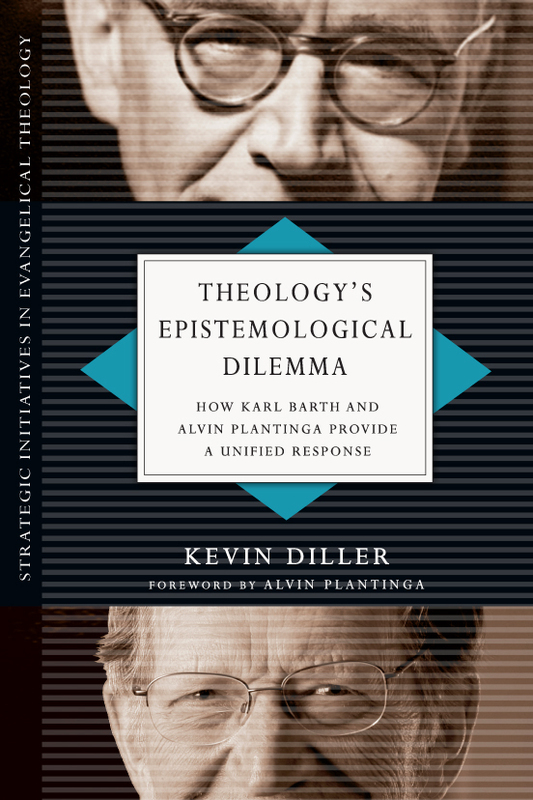 Its main thrust is the exploration of Trinitarian theology–particularly a distinction between the economic and immanent Trinity–in light of Torrance, Barth, and others. The book is packed with insights into numerous topics, whether readers are interested in learning more about Barth and Torrance (and Rahner) or the relations within the Trinity, Molnar sweeps broadly but takes the time to dissect many topics in helpful ways. A primary topic is how we relate to God, and through Barth (though alongside other theologians), Molnar argues that God is perfectly free in relation to us and frees us through grace. It is not our work that saves us but rather God entirely and miraculously revealing Himself to us through Christ by the power of the Spirit. Throughout the entire book, the aforementioned theologians are highlighted, often providing readers with lengthy quotes and expositions of their positions in order to lend more detail and analysis to topics related to the Trinity. There seems to be a bit bit too much discussion of various other scholars’ dissent from Molnar’s position or misunderstanding it. At times it reads as though there are journal articles put into the book rather than developing as a book itself. Responses to specific authors seem to often be esoteric rather than helpful, though I’m sure in the broader project Molnar is tracing, it makes sense. Another downside is that it seems that at a few points the “low hanging fruit” is that which is engaged. For example, Molnar’s discussion of eternal subordination was interesting–in particular his insight from Barth and Torrance about how such a position confuses the immanent and economic Trinity–but then he went on to focus on specific views of select scholars which were blatantly subordinationist in the Arian sense rather than on some of the more nuanced approaches of others. Another example is his discussion of natural theology, which did not seem to take into account the various ways in which Barth’s attack on the notion are undermined by other considerations. Overall, Faith, Freedom and the Spirit is worthy of careful consideration. 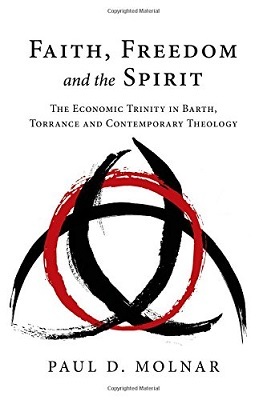 Readers may not always find it helpful in its discussion of specific scholars, but the broader theme of the economic Trinity and the channeling and condensing of the thought of several important theologians makes it well worth the time and effort to read it. I received a review copy of the book from InterVarsity. I was not required to give any kind of review whatsoever. My thanks to the publisher for the book.